What has changed (and is still constantly changing!) is Google’s own search for a human solution to a technical problem. Until not so long ago, it was easy to fool the search engines with some ‘black hat SEO’ by spamming your website with tons of keywords and paying a few pounds for thousands of links from an overseas ‘click farms’. Google is on a mission to push such websites to the bottom of its search results, because it knows that people don’t really want to see the content from these websites. Google is genuinely (or not…) trying to match your search to the best results, by letting trusted and useful websites flow to the top. These are still important as you still need to tell the search engines what your website is about. So, you still need to do your research and make sure you update your website when you introduce new products or services. Saying that, it’s best to use keywords that your customers would use, rather than what you think they do or what comes up on top in Google Keyword planner. Make sure that each page is optimised with your chosen keyword, but don’t go mad with spamming the page with the keyword. In my opinion, this is now a must! Google have been encouraging website owners to have mobile friendly websites for a while now. The big mobile update was originally back in April 2015, with a new update to mobile algorithm in May 2016 with many minor updates in between. This basically means that whilst your website might still perform OK for desk top search results, it will not perform amazingly well in mobile search results if you don’t have a responsive website design. It’s true that in reality, this might not change your business too much. For instance, if you run an e-commerce website, you might argue, that people won’t necessarily make purchases whilst they are on the mobile on their daily train commute to work. That’s perfectly true, but what they will do is to look up whatever they want and then go back to it when they get home to their desk top computer. If your website doesn’t come on their mobile search results, it’s very unlikely they will search again on the desk top and find you that way. And if you are still on the fence about investing into a responsive website design (and believe me I know that’s either a huge chunk of your time if you are doing your website yourself or a significant financial investment if you are outsourcing) here is another reason that might make you spring into action. Enough reasons for a mobile friendly website? Good! And if you are not sure, check with your website provider, whether your website is mobile ready or not. If you are a local business (e.g. shop or services focusing on a particular area) you have a greater chance to be top when it comes to searching for your keywords locally. Make sure you are registered with Google Business and include your contact details (including your address) visibly on your website (footer is a good place). To improve your local ranking join local business directories and directories that are directly linked to your business niche. People are more likely to buy from you if they see you demonstrating your product as well as just having it on your website as a product. Videos don’t always have to be professionally made, in fact your potential customers might enjoy the authenticity of homemade videos. What’s also important, is that videos add to your website content, which is very sharable. Blogging is still a really good way to add actual content to your website that Google can ‘read’, but videos are very likely to get more shares then blog posts. People tend to scan websites rather then read, but will still watch 2-3 min video if the subject captures their interest. So, if you have not got a YouTube channel yet, 2016 is a good year to start one. Need another good reason? YouTube is owned by Google! Organic SEO can take a while to start working, especially if you are just starting. Your website traffic can also come from sending out your online newsletter, social media posts and networking with other businesses and potential customers. The more people you ‘manually’ send to your website, the more people are likely to share, comment or bookmark your website to come back to later. The more your website gets visited, the more Google will think that your website has the ‘right stuff’ on it and providing your website is well optimised, next time when people search for your chosen keywords you are likely to improve your website ranking. The following is a joke, but painfully true too: ‘Google only loves you, when everybody loves you first!’. You heard it before, but yes, content is king! One well written blog post can bring more website traffic than several short blog posts that have no real value. Think about your potential customers, what would they find useful to read about? What do you think might be their current problems and how can you help solve it for them? Writing a long, useful blog post is a good start, but that on it’s own has only a limited impact. A website with tons of content, that nobody reads (as in ‘doesn’t visit’), shares or refers to (as in links back from their own website) is not going to bring you the results you’d expect. For maximum impact, you need to write brilliant content, but also promote it as much as you can to see the benefits. Unlike Facebook, Twitter or Pinterest, Google+ failed to attract business owners and in mid 2014 Google even scrapped their Authorship scheme. If it makes sense for your business to be on Google + keep your account there, but the good news is that Google is now going to give other social media similar weight as their own network. Google is still pretty adamant that it doesn’t count links from social media, but the fact that people share your website page or blog post on their social media, often means more visitors and this of course means better ranking. I hope, that by now you can see how everything is connected and every little bit makes a difference over period of time. Whilst in the past you could get away with applying ‘black hat’ techniques to your SEO (spam links, vast blog networks, keywords spamming or low content) now it will become more difficult and it can get you into hot water with Google. Which for us, small business owners, is actually good news, as we now have as much chance to succeed as any large company (that probably was using these techniques in the past!). Put your efforts into great content, clean layout and customer experience and show that you are a genuine business. And next time when you get an e-mail about buying website links, just delete it! 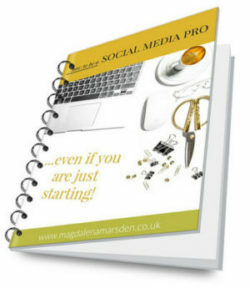 Instead, build your links organically and only add and seek links that are in line with your business. SEO should become part of your on-line (and off-line) marketing, content management and overall business running. 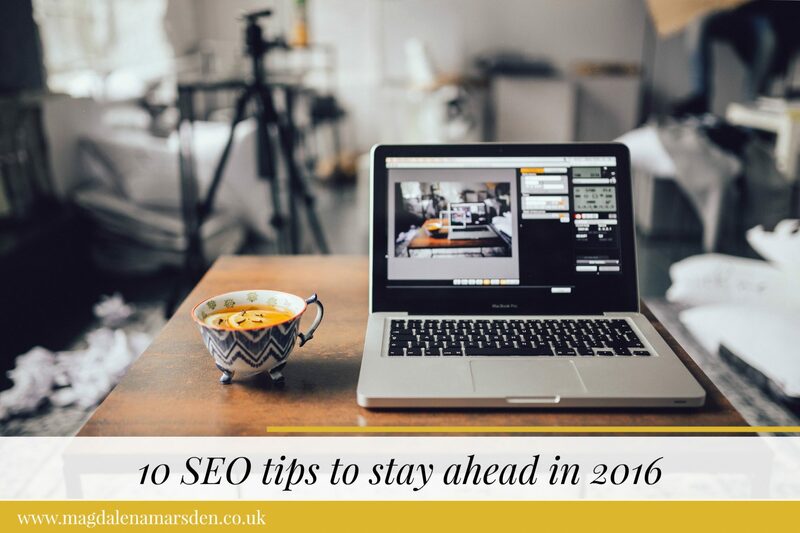 This is not easy as getting in grips with SEO could be a bit of a learning curve. But as I’ve hopefully just explained, these days SEO is more about the psychology behind selling, understanding your ideal customer and being authentic, than just a scary technical jungle. Unless you are able to outsource your SEO to an external company, I think everyone should know at least the basics. Even when you do get to outsource your SEO, you still need to work with the provider and be very specific about what you want. And to do this well, you need knowledge. I’ve worked with several business owners, who outsourced their SEO and each month they were receiving impressive reports telling them they were on first page for their chosen keywords. But there were no sales and when sales happened, the owner could easily trace the buyer to a personal recommendation but not to the website. It took me about half an hour to work out what was actually happening. The SEO company reports were correct, the business was on page one, but it was for a bunch of keywords that were so specific that nobody was actually searching for them. There was no traffic. None… And top of search engine results? It was Yahoo and Bing not Google that actually has the majority share. When was the last time you searched for anything in Bing? Exactly! If this wasn’t bad enough, the website itself was not mobile, didn’t have any social media links and share buttons, so the little content there was couldn’t be shared and visited by the few visitors that stumbled upon the website in the first place. So, what’s the answer? I really think that every business owner should have a working knowledge of SEO, social media, blogging and online marketing, to be able to do this themselves or to direct others to do this for them effectively. This is by no means an exhaustive list, but it’s a great place to start. I’d love to hear your suggestions in comments below and can’t wait to read how you are applying this into your own business. P.S. My practical SEO online course has just started on 1 July 2016 and you are welcome to join us for 5 weeks of deep diving into the SEO world. This is a step by step beginners online course to SEO, including on-site and off-site SEO, keyword research, Google analytics, website branding, copy, social media strategy, blogging and much more. To find out more and register your interest just head over here. Great in depth post summarising how to use SEO. I so agree with you that every business owner needs to understand even the basics of SEO. The principals are important to improve every step of the sales process. 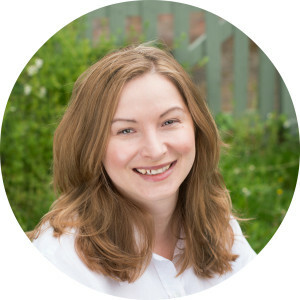 Thanks, Magdalena – great foundational SEO tips! Really good info Magdalena, I’ve bookmarked you post! Thank you. Great post, Magdalena! This – especially with the used of keywords – is something that I often overlook. I’ll keep this in mind. Thanks. It seems with SEO is changing. So I try to keep with the basics of relevant keywords, description and ‘H’ tags.